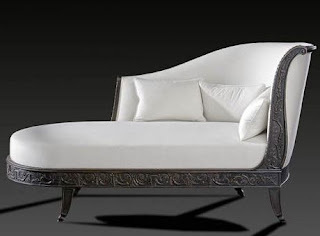 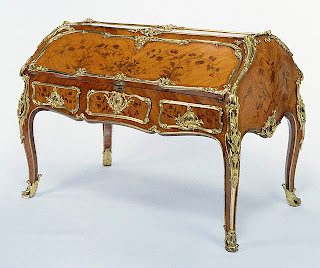 Provenance : Château Ribeaucourt ; private collection. 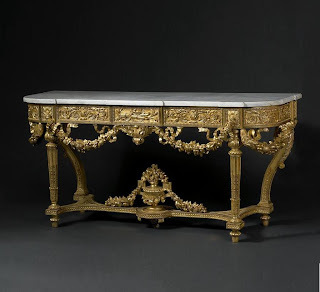 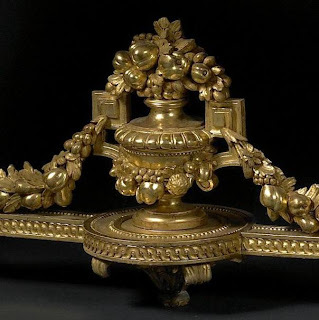 Important and superb carved gilt wood Louis XVI style console table . 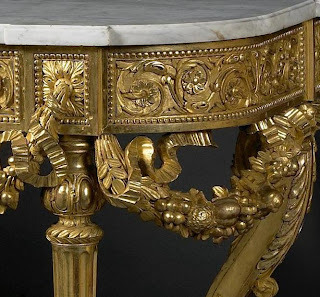 The Elegance of this antique conosole table comes from the Parisian work of the middle of the 19th century antique furniture with finely executed sculptural antique furniture details and mat and brilliant gilding.